So you’ve been to our dealership, and you surprised yourself by how much you enjoyed the experience (“A great experience at a car dealership? Who knew that was possible??”). But now what? Not only do we want to thank you for doing business with us–we want to reward you, as well. Introducing our Frank Leta referral program. For every friend or family member you refer to our dealership, we’re going to give you money–real money (of course, if you’d rather have a Frank Leta gift card, that’s an option, too). Think this sounds like a wonderful idea? That’s because it is. Think you’ll get carried away and refer every single friend you’ve met from middle school through 5th-year at college? Even better. Once you refer four or more friends to us, it bumps you up to the second tier of our program (in other words: even MORE money). Courtney explains the program quick and easily in the video below. 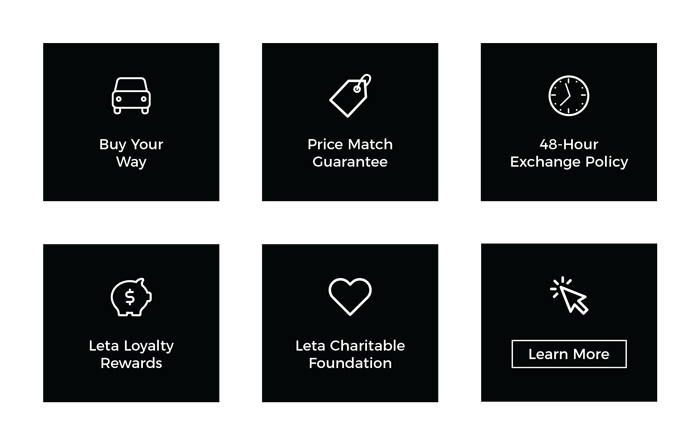 To start taking full advantage of our Frank Leta referral program, just get to chatting. Water cooler conversation for tomorrow morning? Check.